The LANCOM 1900EF is the first choice for using a variety of Internet connections on a single device. This extremely high-performance multi-WAN VPN gateway supports any external DSL or cable modems for the greatest possible flexibility, for any Internet connections available at the site. It also supports high-speed fiber-optic connections. 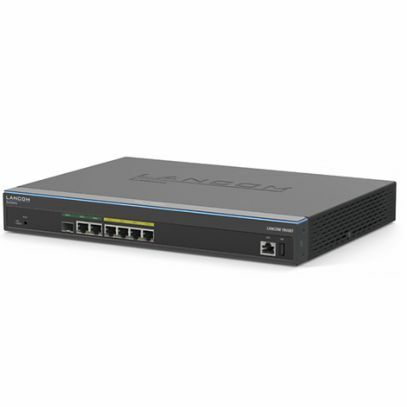 With the award-winning LANCOM IPSec VPN, 25 (optionally 50) sites and mobile employees benefit from Secure. Networks.